no, it’s too small to be a Great Dane. Dogs are special. When my wife, Vicki, was growing up, she had Great Danes, Callie and, later, Nicki. My first pet was Lassie, a mostly border collie. 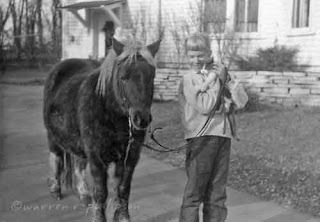 We had Lassie long before leash laws and having to follow your dog with a plastic bag. If Lassie wasn’t at home, she was running around with Pee Wee, a boxer from across the street. But she would always come running as soon as we whistled. What else do I remember about Lassie? Three incidents stand out. 1) Showing devotion rather than a border collie’s smarts, Lassie once almost drowned trying to reach the rowboat we’d taken far off shore to fish. Luckily, we saw her head bobbing in the calm lake water. 2) When Lassie was young, a family living around the corner from us acquired Chi-Chi, a pet chicken. Lassie must have gotten too curious, because Chi-Chi was seen squawking, flapping its wings and chasing Lassie down the street. “Pet” may not be the best descriptor considering how Chi-Chi departed this world. Neither of the family’s daughters could eat a bite. 3) Lassie went to school. Let me expand on that. Home sick from elementary school down the street, I witnessed Lassie scratching the door to go outside just before school let out for the day. 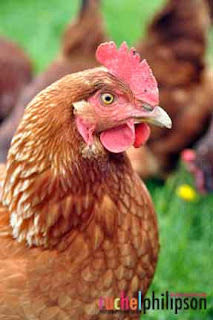 I’m sure it’s common for an animal’s alarm clock to be set for actions other than Pavlovian feeding, but I was an upperclassman at Cornell before I saw anything like that again. 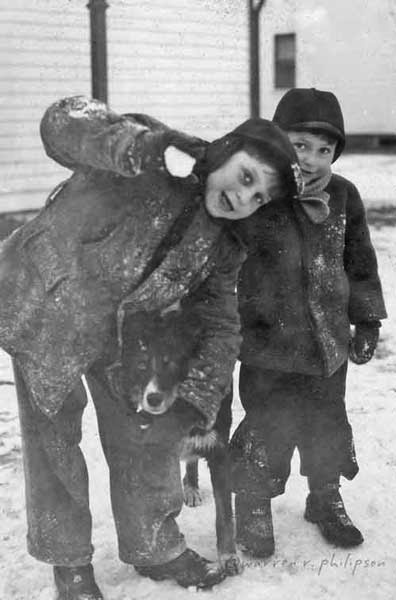 Cornell used to be overrun by dogs--on the quads, in classrooms, even in the main dining hall, Willard Straight. There was a myth that someone had left money so dogs could run free. Among the courses I was taking was one taught by an elderly European professor with an acerbic wit. A student in the class was always accompanied by a large golden Labrador that would sleep at the student’s feet or on the side of the room. One cold, snowy morning, probably a Saturday (yep, we had Saturday classes, even 8 o’clocks), I was struggling to keep up with the professor, when he stopped in mid-sentence. He interrupted himself to point out that the dog was present but the student was not. After Lassie, I had a string of male cats, none of which lasted more than a year. Before the advent of cat litter, our cats would go out to buy a pack of catnip and never return. 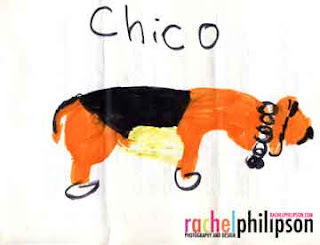 she drew this portrait of Chico. Other than the turtle, parakeet and roommate’s horned toad described in the last blog post, I held off on pets until years later, when my daughter, Rachel, was 3 years old and needed the protection of a beagle puppy. Chico got Rachel started on her goal to never live a moment without a beagle (or two). 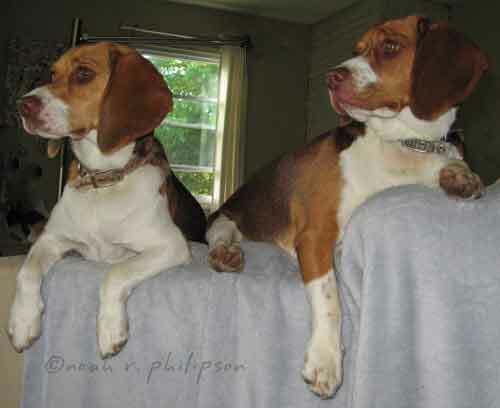 All this talk about pets has me wondering how much of my retirement time I’m ready to spend or share with animals, whether they’re domesticated or like Rachel’s two beagles. Considering my life to date with and without pets, it was kind of nice to retire to a peaceful coexistence with Boss, an old, now only semi-wacky, diva with a voice, dive-for-cover cat. But when Henry-the-cat moved in, well, as they say, there went the neighborhood. After I find a couple of photo addenda on dogs, I think I'll focus my retirement energy as well as future blog posts on something besides animals.